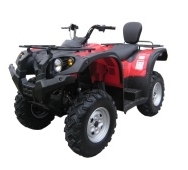 The AX7-EFI ATV is our powerful model especially designed and produced for tasks where extra power is needed, like hilly terrain or towing power. It also has front and rear carry racks. 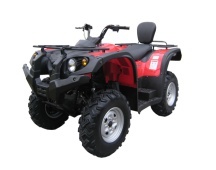 The AX7 has a powerful EFI engine with optional 2WD or 4WD. Standard features include long seat with seating for 2 people.It also has tow bar and tow ball and full digital instrumentation.